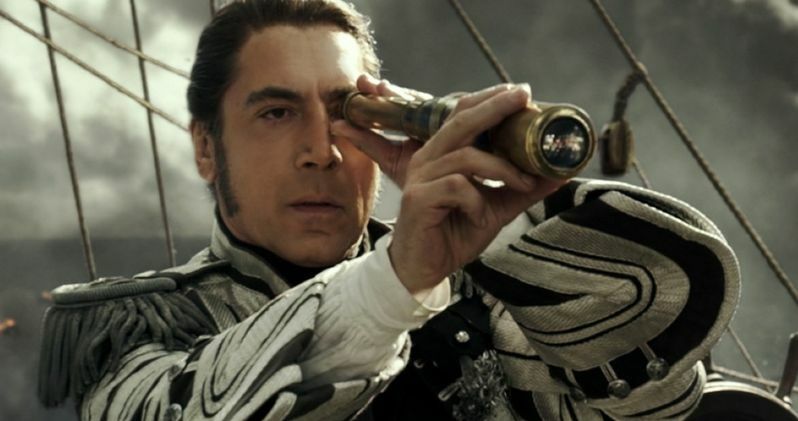 Denis Villeneuve's Dune reboot has cast Javier Bardem. The actor is coming on to portray Stilgar, Fremen Naib of Seitch Tabr, who was played by actor Everett McGill in David Lynch's 1984 adaptation. Bardem is reportedly in the final stages of negotiation at the moment. Javier Bardem joins Timotheé Chalamet, Rebecca Ferguson, Oscar Isaac, Dave Bautista, Charlotte Rampling, and Zendaya, who have already signed on to the project. Villeneuve isn't messing around with his take on Frank Herbert's iconic source material. Dune is considered by many to be a sci-fi literary classic. The story focuses on a fallen noble family's attempt to take control of the desert planet Arrakis and more importantly, its main export, which is a rare drug. In the story, the Fremen play an integral role when the family falls under attack. The two sides work together to start a rebellion to take over Arrakis. This will be a bit of a different role for Javier Bardem who is arguably best-known for playing an epic villain. Javier Bardem won an Academy Award for his performance in No Country for Old Men and recently starred in Darren Aronofsky's Mother!, along with Disney's Pirates of the Caribbean: Dead Men Tell No Tales. It's going to be interesting to see what Bardem brings to the table as Stilgar in the Dune remake. In fact, this whole project is going to be crazy to watch unfold. David Lynch's version of the story was not at all well-received and it has not been looked back upon in a good light, even all of these years later. Dune has a huge cast of characters, so there are still a lot more roles that will need to be filled in the coming weeks/months. As for who else will be joining the massive cast, that's a mystery at this point in time. However, it appears that Denis Villeneuve and crew are moving along pretty quickly to ensure that they are ready to film when the time comes. The director ruffled some feathers recently when he announced that his adaptation was going to be Star Wars for adults. It's believed that Dune will start filming in Budapest and Jordan starting this spring. The movie's script was written by Denis Villeneuve, Eric Roth, and Jon Spaihts. Villeneuve also serves as executive producer along with Mary Parent and Cale Boyter, with Brian Herbert, Byron Merritt, Thomas Tull, and Kim Herbert. Kevin J. Anderson will serve as a creative consultant on the project when filming starts. Hopefully we will receive some behind-the-scenes shots when filming begins. Villeneuve has some big shoes to fill and he's been hyping the project up for quite a bit now. Frank Herbert fans have been waiting years to see a proper adaptation on the big screen and Villeneuve just might be the right man for the job. The latest Dune casting news was first reported by Deadline.